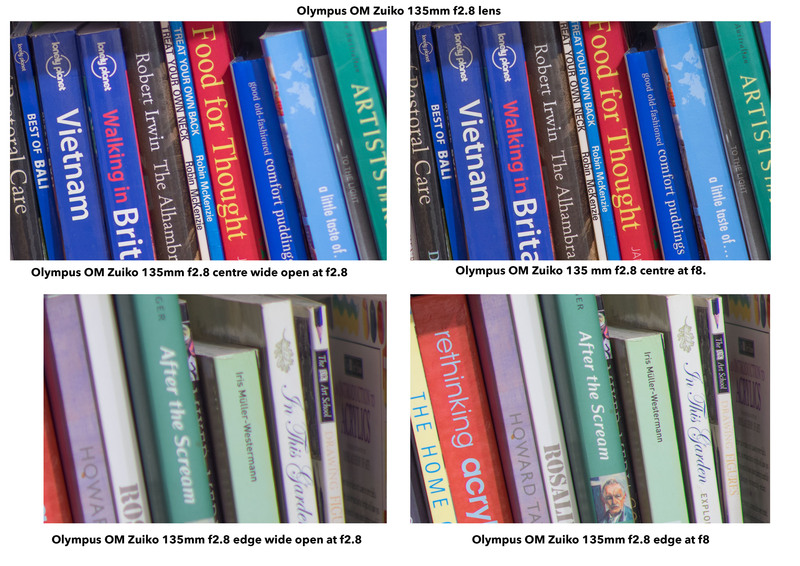 This is my fifth look at classic Olympus OM Zuiko lenses and how they perform on a Sony A7r. 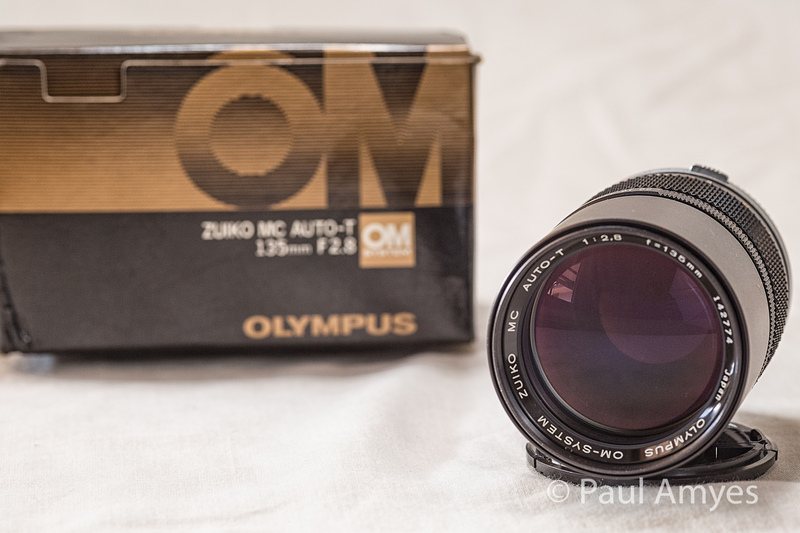 The Olympus OM Zuiko 135mm f2.8 fresh out of the box. Even though it is thirty years old it is brand new, never having been used. Many years ago I had a very basic camera kit consisting of an Olympus OM Zuiko 50mm f1.8 and 135mm f2.8 lenses with an Olympus OM20.One summer I made a series of portraits of friends down on the beach at Bognor Regis and shot a couple of concerts using the 135mm. 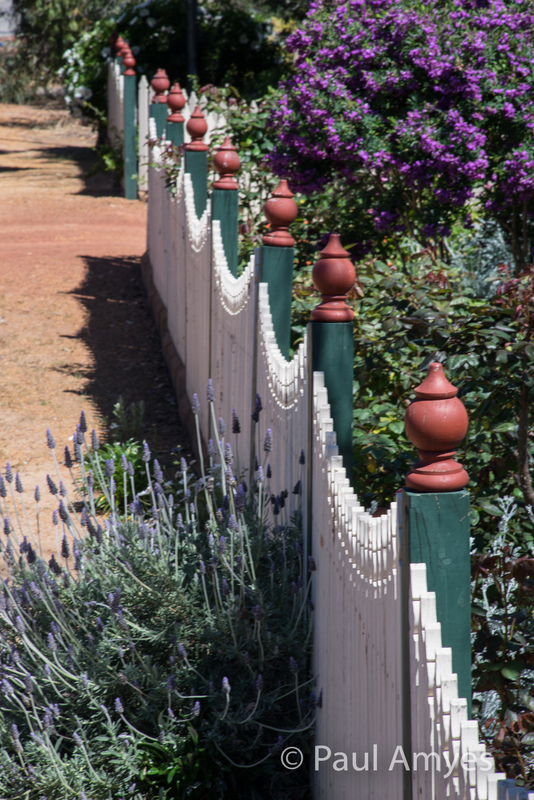 The speed and shallow depth of field enabled me to get some shots that sold very well and that cemented the idea of my turning professional in my mind. Unfortunately I was seduced by the lure of zoom lens convenience and part exchanged the 135 for the Olympus 35-105mm. While the zoom was very good and became my photographic workhorse I regretted letting the 135 go. The Olympus OM Zuiko 135mm f2.8 mounted on a Sony A7r using a Fotodiox adapter. 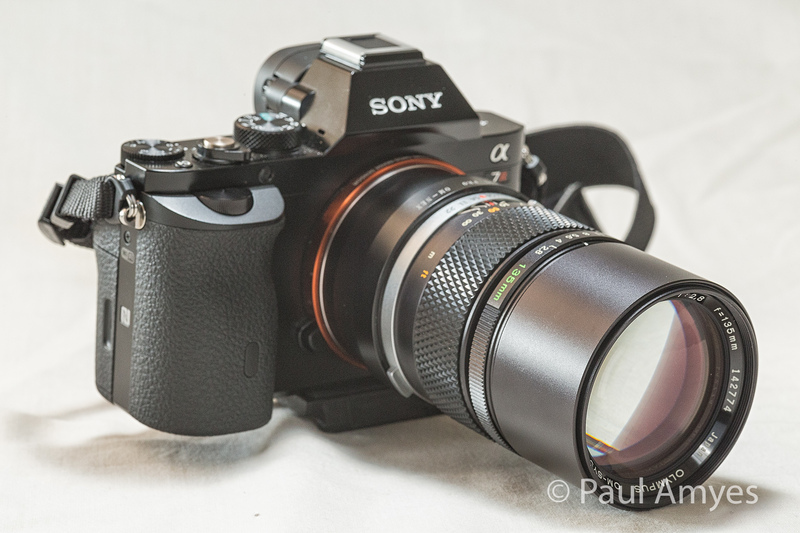 Fast forward some 30 years and I’ve been re-appraising my OM lens collection by mounting them on a Sony A7r. The results have exceeded my expectations so a little while ago I found my trawling EBay idly when I found a brand new OM 135mm f2.8 lens – and I mean brand new, never used complete in its unopened box. So I hit the “buy now” button and waited patiently for the lens to arrive. When it finally got here it was like being re-united with an old friend. The lens feels gorgeous – reassuringly sold and just oozing quality.The detents of the aperture ring cause it to have a very pleasing click as the ring is turned, and the focusing ring has a wonderfully smooth dampened action. The built in lens hood is a delightful touch in this day of $100 options one has to pay to get one for many modern lenses. Part of the original instruction manual showing the optical construction of the lens. It is a very simple design of five elements in five groups. 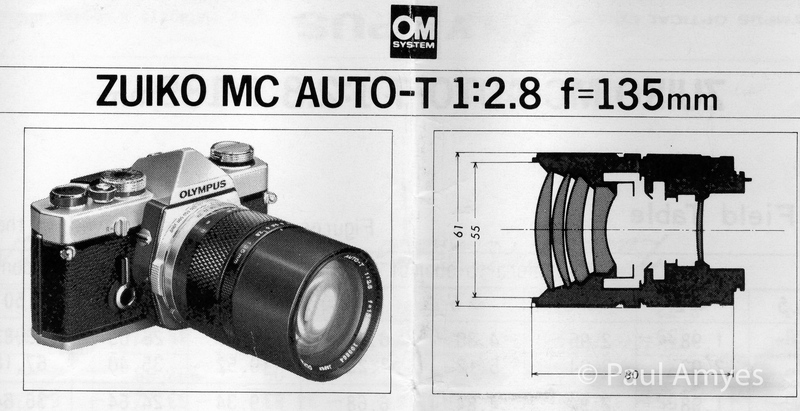 The E-Zuiko AUTO-T 135mm f/2.8 was one of the first lenses released when the OM system was launched in 1972. It is easily identifiable thanks to the chromed front filter ring (the so-called “silver nose”). In 1977 it was replaced by the Zuiko AUTO-T 135mm f/2.8. Other than the improved multi-coated optics and some cosmetic changes (notably the loss of the silver nose) the lenses are largely the same with an optical formula of 5 elements in 5 groups and both versions come in at a svelte 360g (12.7 oz) The lens departs from the common Olympus filter size of 49mm and uses one of 55mm to allow a larger front element to facilitate the extra light gathering capability of this over the f3.5 version. This is a very modest size though in this day of 77 and 82 mm filter threads used on many modern lenses. Common to all Olympus OM prime lenses the aperture ring is forward of the focusing ring which makes the lens well-balanced in the hand and easy to use. In this day and age of F1.4 and f1.2 primes the maximum aperture seems a little pedestrian, but the aperture range of f2.8 to f22 allows for depth of field control when combined with the compression effect of a true telephoto. 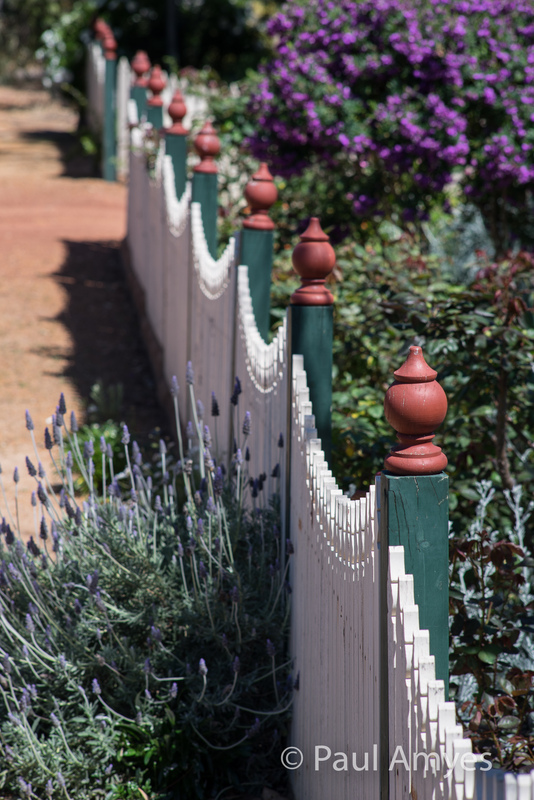 Just to demonstrate the effect of stopping this lens down has on DOF. This is wide open at f2.8. 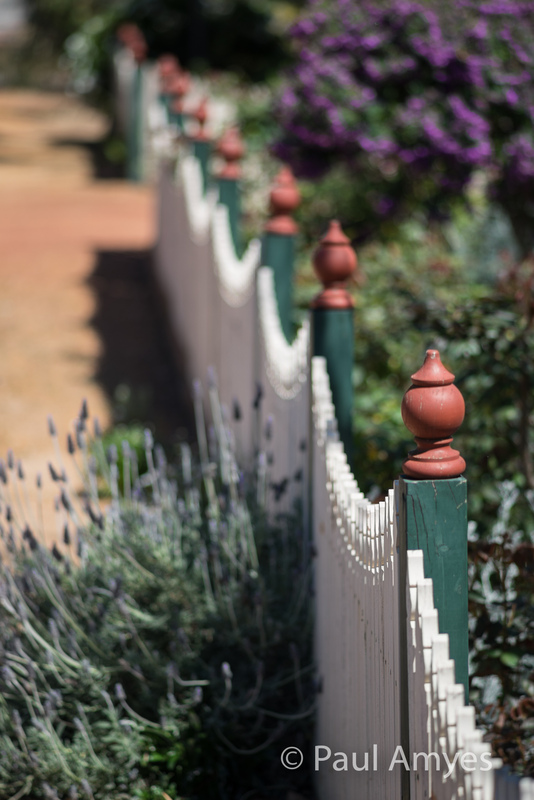 Just to demonstrate the effect of stopping this lens down has on DOF. This is f8. Just to demonstrate the effect of stopping this lens down has on DOF. This is f22. So down to the nitty-gritty – how does the lens perform on a modern digital camera. The quick answer is very well. Barrel distortion is virtually non-existent. In term of sharpness wide open the lens is pleasantly sharp although lacking in contrast and this improves when the lens is stopped down to f8. At the edges at f2.8 predictably the lens is very soft and has poor contrast. This is not altogether surprising considering the very simple design with no exotic elements. Things improve by f8 although it does not reach the standards of the centre.Vignetting is obvious wide open and again clears up as the lens is stopped down and disappears at f8. 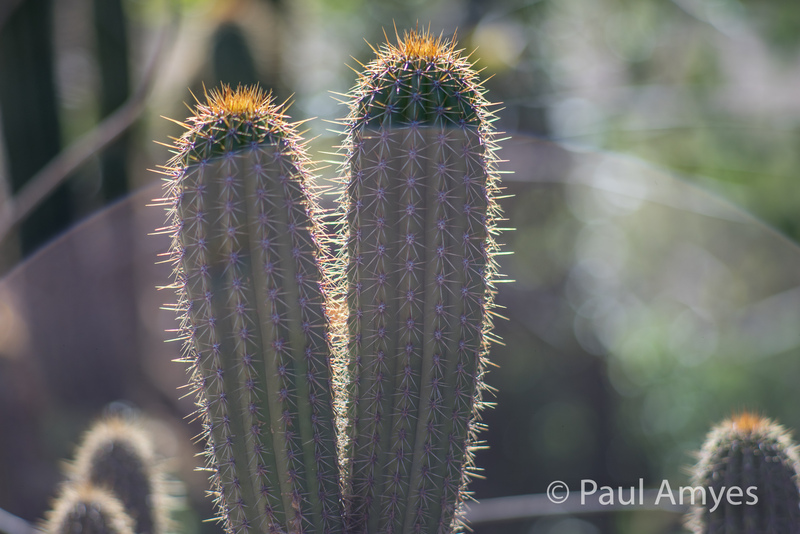 There is some chromatic aberration but it is very mild and easily fixed in Lightroom. The bokeh is nice and smooth but with only 8 aperture blades the “bokeh balls” turn into octagons as you stop down. When stressed by shooting into the sun veiling flare is very apparent, the solution to this is use a lens hood and that is easy as it is built into the lens. Shooting into the sun without a lenshood at f2.8. The veiling flare is very apparent. What a difference a lens hood makes. Shooting into the sun with a lenshood at f2.8. The rendition of the out of focus highlights (bokeh) is very pleasing. 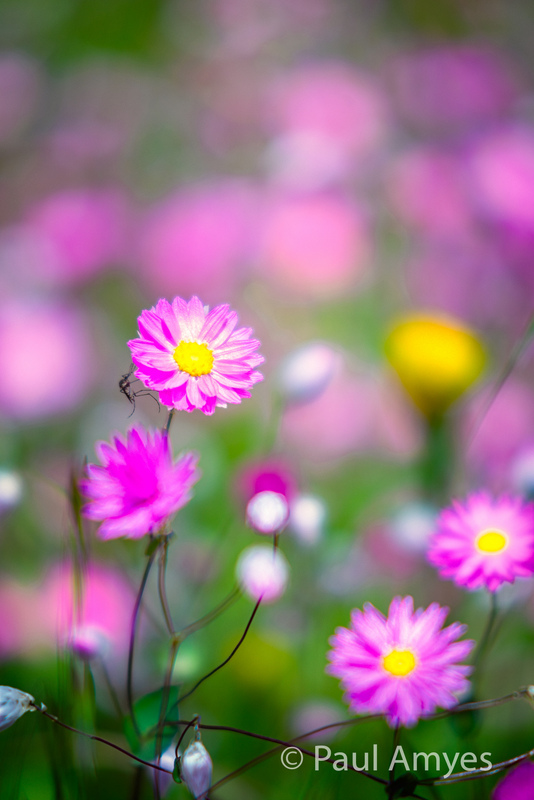 With a minimum focusing distance of 1.5m the range of the depth of field at f2.8 is just 0.02m. 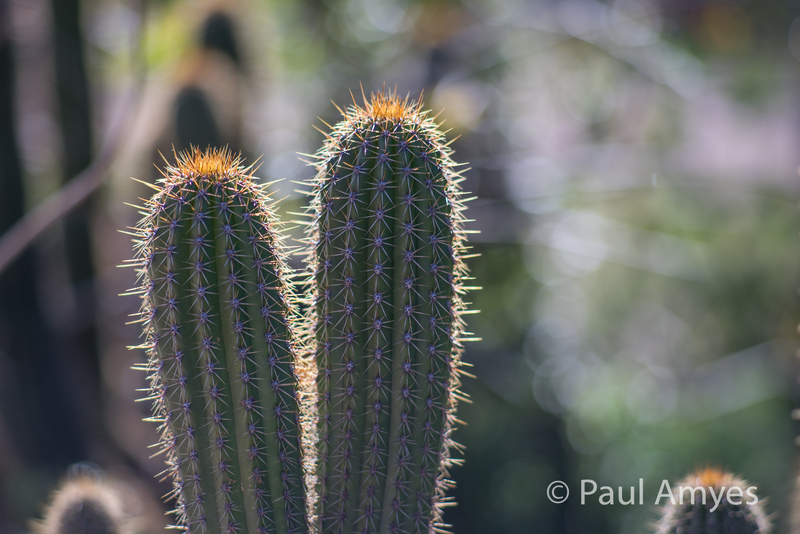 Using the focus peaking set to mid on the A7r caused me no problems with finding focus on this shot. Everlastings on Mount Brown in York, WA. One of the things I noticed when using this lens is that the weight and the resistance of the focusing ring shows the short comings of the Fotodiox adapter. You can feel the lens moving in the adapter as you turn the focus ring. The cheap no-name Chinese version was a lot worse. I am thinking about getting some longer lenses, but after this I think I’ll have to investigate a better adapter such as the one made by Novoflex. 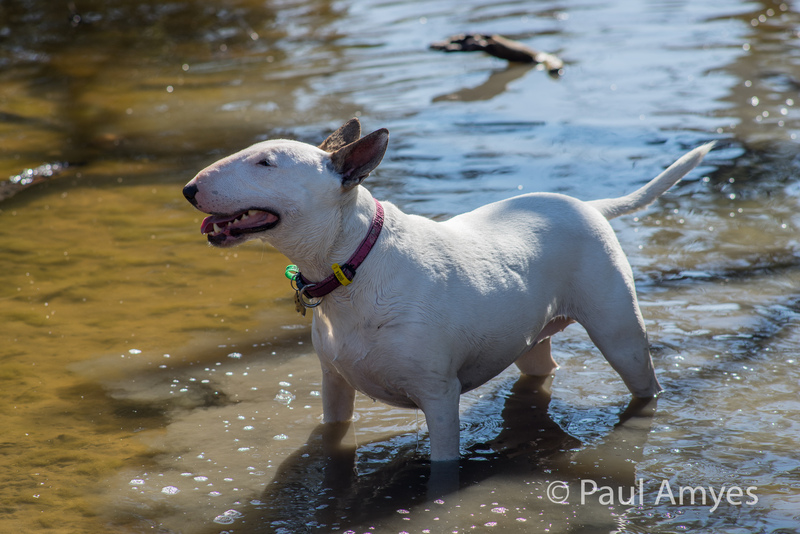 Frida posing in the river. At f5.6 the lens is very sharp in the centre. Zoom into the area around Frida’s eye and ear and the fine detail of her fur is clear. Subject isolation is what this lens is all about. 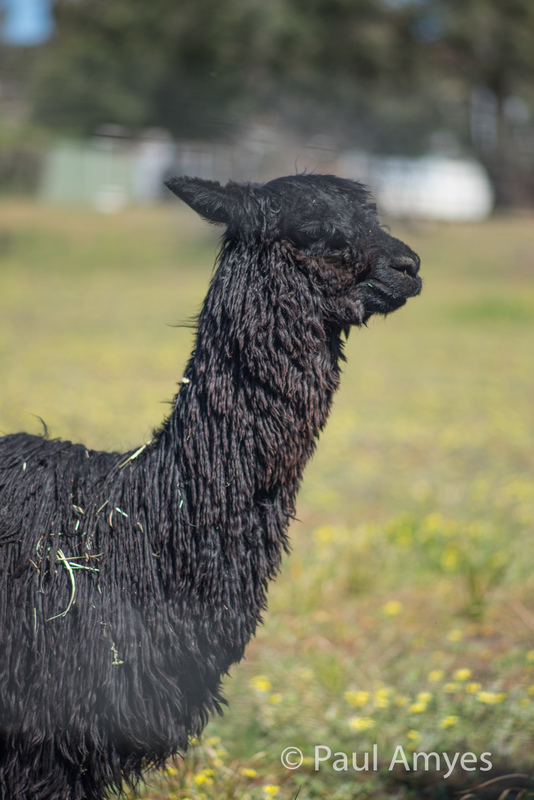 Shooting at f4 through a chain link fence at this alpaca demonstrates this. So to sum up – to get a better lens you’ll have to spend a lot of money on a more modern highly corrected design. With the softer edges the lens makes a very good portrait lens and you could make a strong argument that the decreased contrast in the centre at f2.8 and f4 would make it very suitable for glamour photography. The true telephoto effect of this focal length makes it a useful lens when you wish to compress perspective when shooting landscapes. The focus throw is a little over 180º and that makes finding focus a precise affair and would appeal to film makers. All in all if you want a manual focus telephoto for use on a full frame sensor then seriously consider this one. At f11 the lens has bags of resolution and is capable of recording very fine detail. There is no sign of diffraction reducing the image quality. 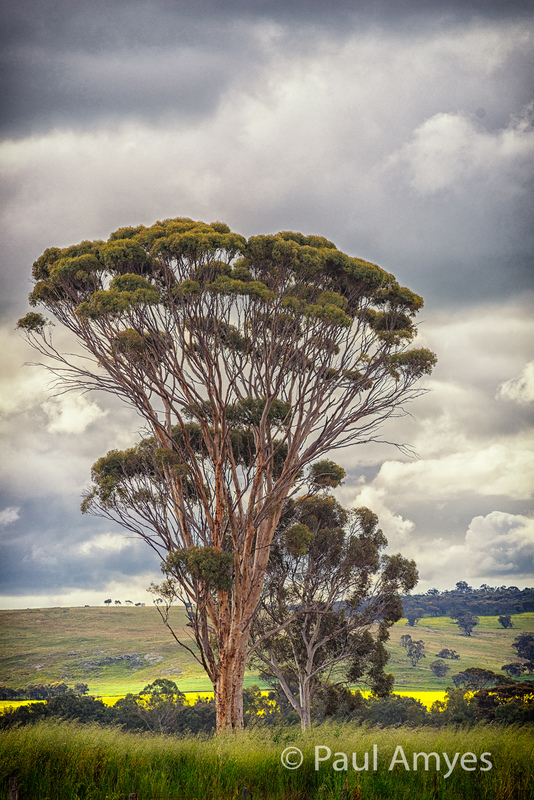 Wandoo tree (white gum) on the outskirts of the Western Australian town of Beverley.